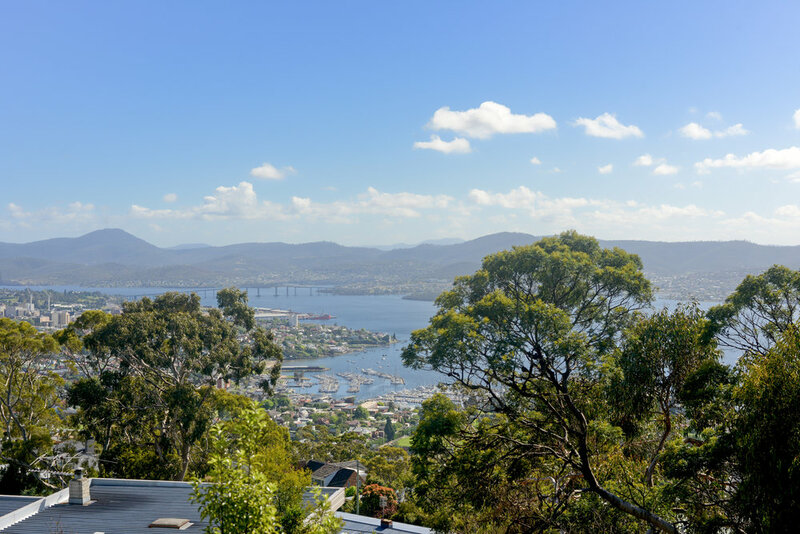 Spacious contemporary style family residence, occupying a secluded residential setting with exceptional views over bustling Hobart and the clear blue waters of the River Derwent. 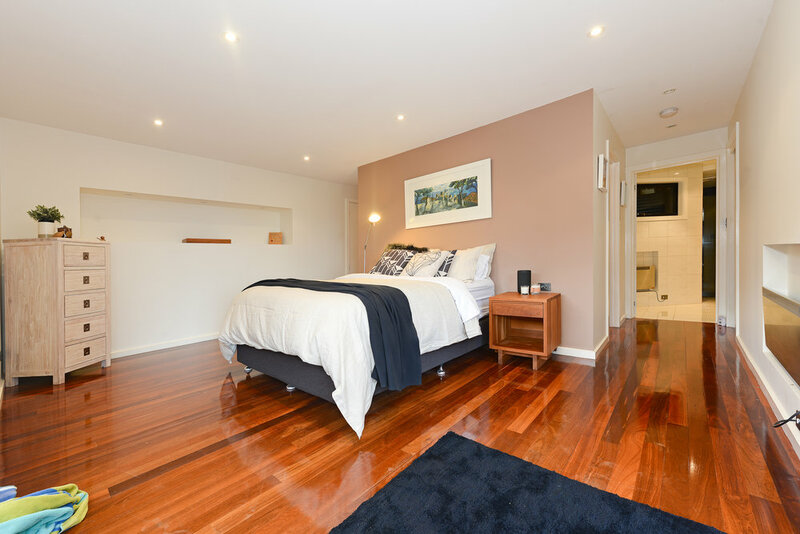 This two-storey home offers a wide foyer leading into an expansive and versatile open plan space comprising kitchen, elevated dining area, and free-flowing lounge area, all with bird’s eye views overlooking the city, inner-suburbs, River Derwent and Eastern Shore. A powder room, guest bedroom with ensuite and double garage with internal access complete this level. 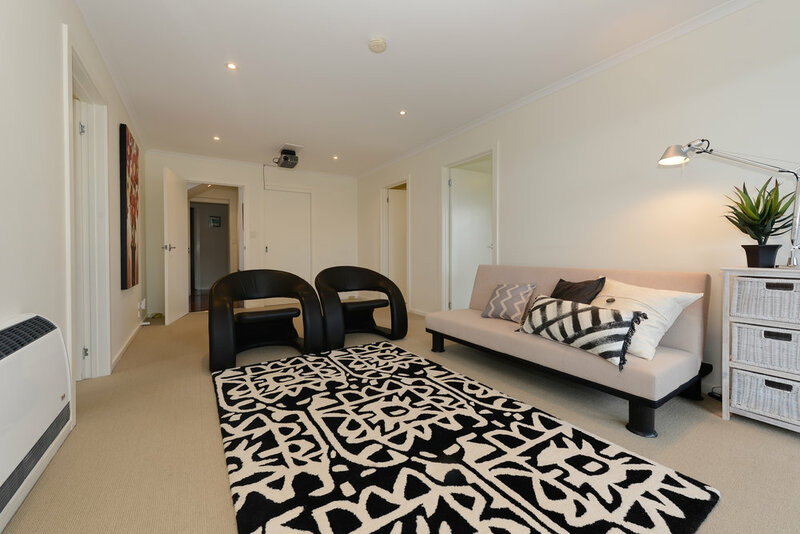 The lower level provides for four further bedrooms with built in robes, family bathroom, laundry, rumpus/home theatre room and incorporates a luxurious master suite with a generous size hotel-style ensuite and walk through robe designed for a big wardrobe! And there is more: externally accessed at the lowest level of the home is a purpose built former commercial kitchen area, readily converted into a home office, bedsit, gymnasium or studio space, subject to council approval. In addition to the garage with level street access there is extensive timber decking (three decks in total), built-in spa with private resort-style timber deck surrounds, a hot-house and leafy established low-maintenance native gardens serviced by a reticulated watering system. 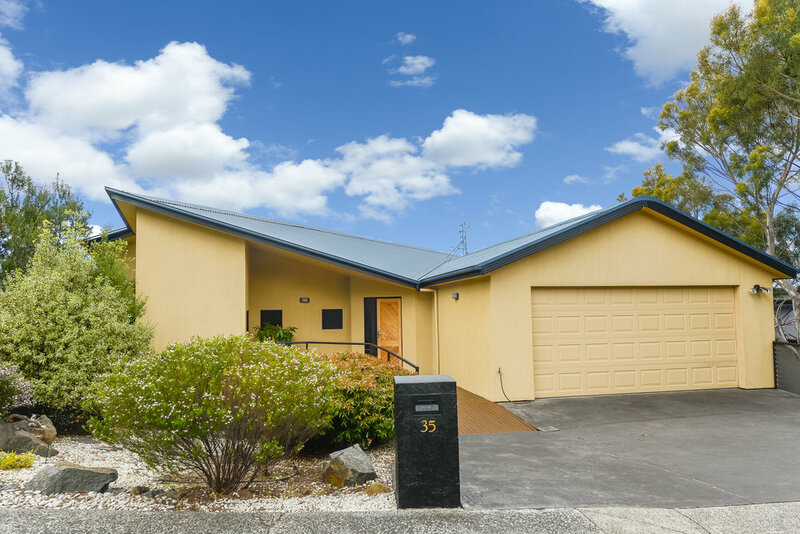 This is a terrific opportunity to acquire a spacious family home in a tightly held pocket of Mount Nelson. Offering panoramic views coupled with highly desirable northerly aspect and a quiet no-through roadway, surrounded by quality housing. 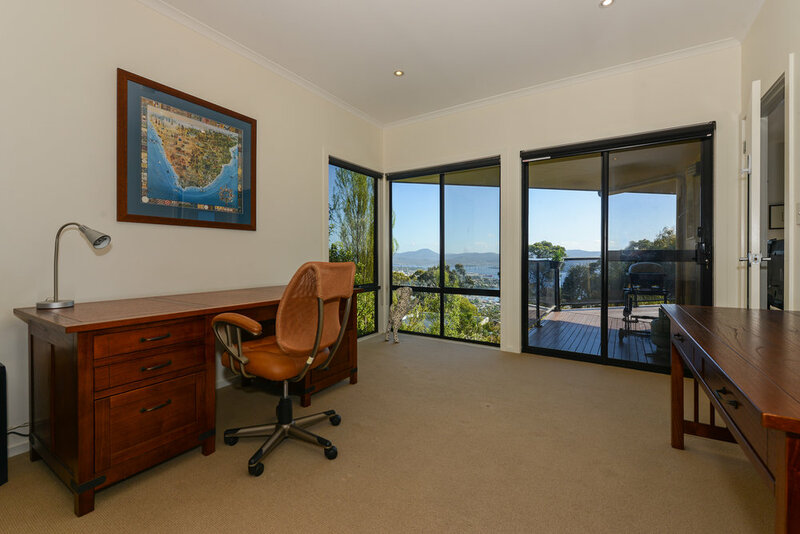 This residence is close to all local conveniences: Mount Nelson Primary School, Mount Nelson Store, Hobart College, exceptional skyline walking trails, public transport (bus) and only a short drive into Sandy Bay and the City Centre.